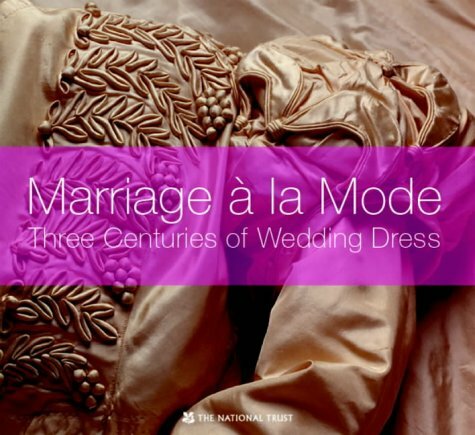 This book traces the development of dress from the silver and white brocades of eighteenth-century formal, aristocratic weddings, to the elegant crinoline revivals of the 1960s and '70s. The wearing of a white dress with a veil gradually gained ground during the nineteenth century, and the tradition as we know it seems to have been well established by the 1880s, probably influenced by the marriages of Queen Victoria, her children and grandchildren. Even then, fashionable white weddings were the preserve of wealthy families. Many brides were married in the best they could afford, often a smart day dress which could also be worn on many occasions after the wedding. Wedding veils might be used again in another form, particularly as christening robes. Shelley Tobin has drawn on the collection of wedding dresses owned by the National Trust and kept at Killerton House in Devon. Whenever possible, she has focused on gowns and accessories where she can trace the provenance of the wearer or maker. The dresses themselves are supplemented with fashion plates, portraits, and photography, together, with bridesmaids' dresses, flowers, favours and customs, to provide a fascinating social history of the past three hundred years. If you have any questions about this product by Brand: National Trust, contact us by completing and submitting the form below. If you are looking for a specif part number, please include it with your message.